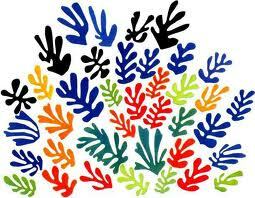 Last month, I visited the Matisse exhibition at the Pompidou Centre in Paris. There were many wonderful paintings, but the main fascination of the exhibition for me was the display of Matisse’s drawings. Matisse frequently used drawing as a way of entering a picture, often making multiple sketches of a subject in order to work out his ideas. These were done quickly, the aim being to try to capture the fleeting forms and emotions a subject inspired in him. Apparently, Matisse often did not know whether his sketches took him closer or further away from his subject until he had finished an entire sequence. Only then could he go back and decide which one best represented its ‘truth’ (which he was always careful to distinguish from ‘exactitude’). Matisse’s multiple sketches remind me of the drafting process of writing – an analogy the painter himself used. Like a writer rewriting a sentence, he argued that he made new discoveries with each fresh attempt. For Matisse, each ‘rewriting’ was valuable, because it enabled him to arrive at a point of ‘balance, a conclusion’ which could be reviewed at the next sitting. Then, he suggests, ‘if I find a weakness in the whole, I find my way back into the picture by means of the weakness – I re-enter through the break and re-conceive the whole’. All of which seems an excellent justification for what can sometimes appear as the wasteful and dispiriting process of redrafting writing. Another excellent mantra for writers.